Ms Chase received a bachelor of science degree in sports medicine from Guilford College in North Carolina. She then moved abroad and received a bachelor of science degree in physical therapy from the Hogeschool Enschede in the Netherlands. She is a New York State licensed physical therapist. She is also a certified Pilates teacher. Ms. Chase started her career in Florida working for Health First Corporation at three of its hospitals in both the acute care and sub-acute settings. After a few years, she made her way back up North to be closer to family. 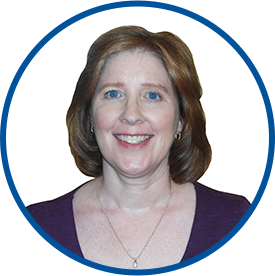 She has worked in outpatient clinics throughout Westchester County, focusing on orthopedics and post-surgical cases. Ms. Chase has extensive training in manual therapy, orthopedics and sports rehabilitation for athletes of all ages. She looks forward to assisting patients in reaching their goals. In her leisure time, Kelly enjoys spending time with family and friends, traveling and cooking. Ms. Chase joined Westmed Medical Group in June 2016.